With a newly expanded "Add to Profile" program from LinkedIn, colleges and universities can invite their graduates to display their degrees and certificates on their LinkedIn profiles by clicking a single link. Educational institutions can embed the "Add to Profile" button on their Web sites, in e-mails or in social media posts. The program originally launched last year with a focus on certification providers like Microsoft and Coursera. According to a blog post from the company, "People whose profiles include an education get an average of 10x the profile views of those who don't — and more visibility frequently translates to more opportunities, from connection requests to job possibilities." 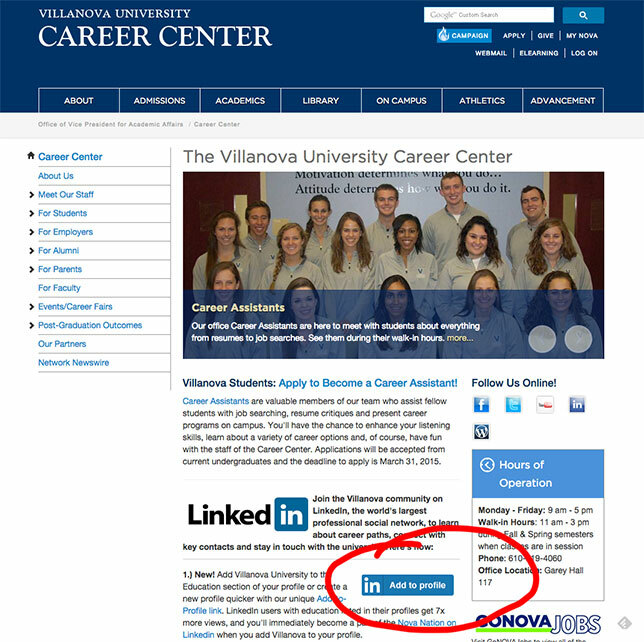 The "Add to Profile" function makes it easy for users to update their profiles, even without visiting the LinkedIn site directly — and serves as a low-effort way to stay connected with their education institutions. A dozen colleges and universities are already using the button, including Arizona State University, Kaplan University, the University of California, San Diego, Villanova University, George Washington University and Full Sail University. The "Add to Profile" program is free; instructions are available on the LinkedIn site.